Cream Live sign. 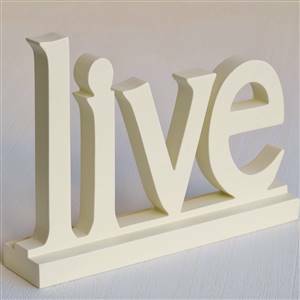 Pretty decorative live sign stand, great on a bookcase, shelf or sideboard. H 17cm x W 24cm x D 2cm approx.